✔ BIODEGRADABLE & PLASTIC FREE - Our straws are made from a biodegradable plant-based material derived from corn starch, which is biodegradable and BPA free! Ideal for plastic-ban areas and those looking to reduce environmental impact. 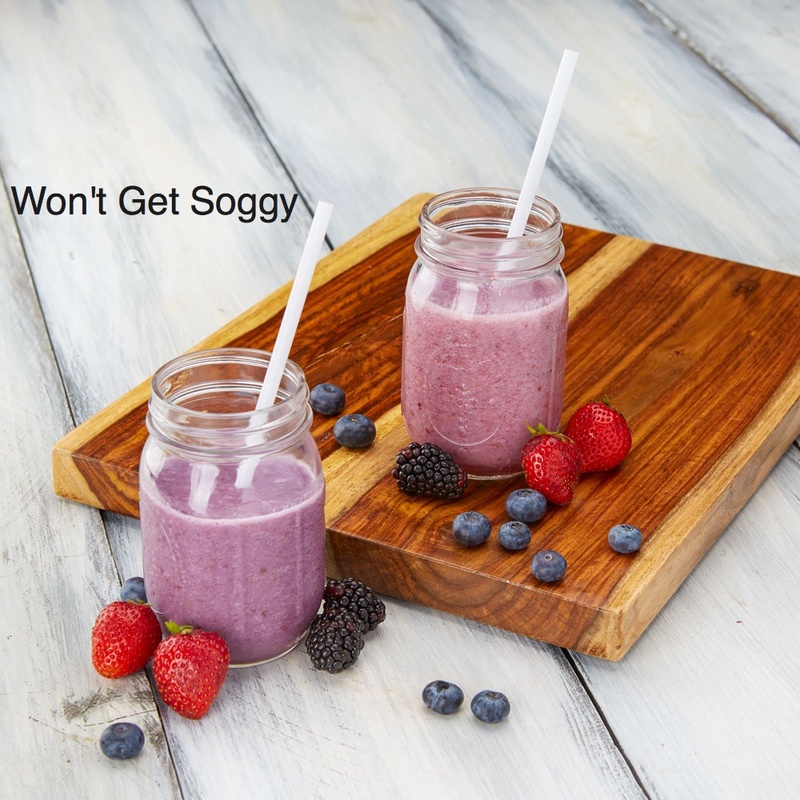 ✔ WON'T GET SOGGY - Unlike paper straws which get soggy and break down in beverages, these straws looks and feel like regular plastic straws - they don't dissolve or get soggy, even with hot liquids, so you can enjoy! ✔ STANDARD SIZED TO FIT MOST DRINKS - Measuring at 7mm x 210mm (1/4 x 8 1/4"), these eco-friendly straws fit most standard sized cups and glasses. ✔ USE FOR BUSINESS OR AT HOME - This bulk pack of 300 is perfect for serving at events, businesses, or just for personal use! 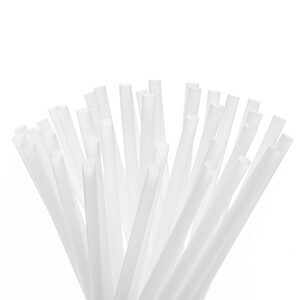 These are especially ideal in places/events regulations against plastic straw use. ✔ COMPOSTABLE & ECOFRIENDLY - While sturdy and long-lasting, our plant-based straws are designed to break down over months - unlike plastic which takes hundreds of years to break down! Reduce your carbon footprint and replace plastic straws today! Reduce your carbon footprint and plastic waste, without soggy paper straws! Our 300 pack of biodegradable straws is made from corn, and breaks down over time, unlike plastic. 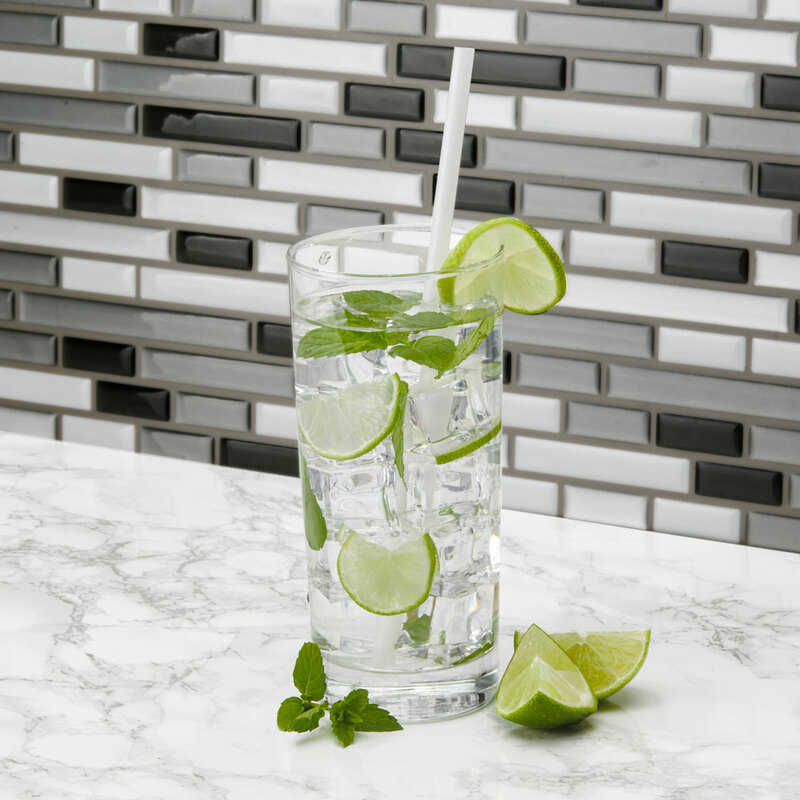 Perfect for serving beverages at a business, fundraiser, event, or just for home use, we've designed these to stay strong and sturdy - unlike paper straws that get mushy within minutes! Our straws feel and look like plastic straws - but will break down in a landfill over a few months instead of centuries. 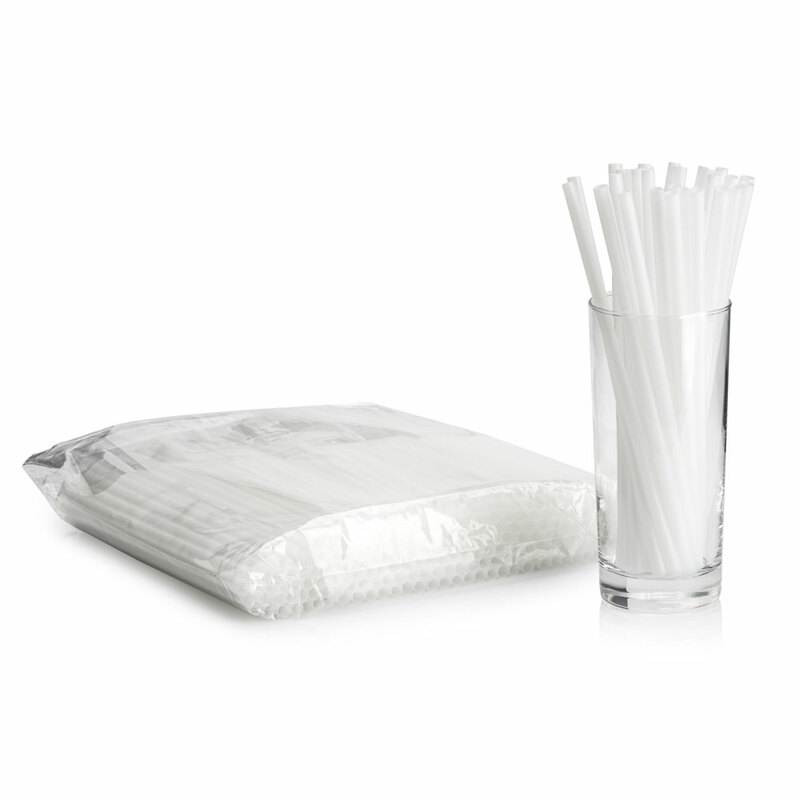 These straws are also fantastic for regions and events where plastic straws are banned. 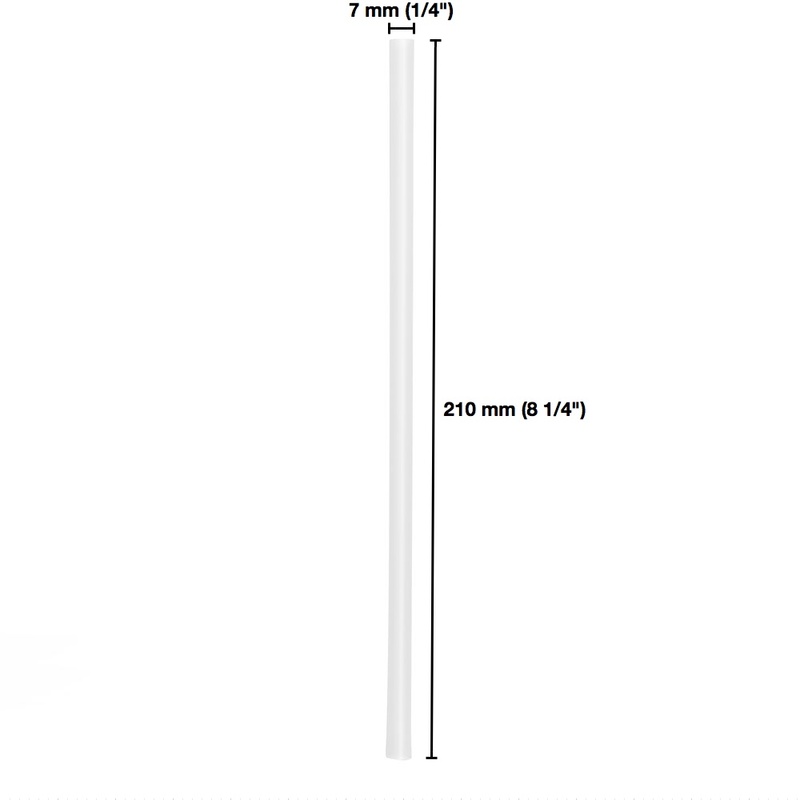 Measuring 7mm by 210mm, they are standard sized to fit most types of cups and drinks. Look no further for the perfect straws - purchase today!